Billy Goat’s Small Property / Residential Force™ Wheeled Blower features the next level of performance and productivity in push blowers. Forget the fatigue factor associated with heavy metal machines, this model is a remarkable 30% lighter than comparable steel units and weighs only 35kg, making it a breeze to roll around the garden. The result is a dramatic jump in productivity, ergonomics and reliability. 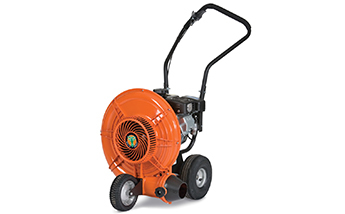 When combined with industry leading wheels, ergonomic handle design and the patented Aim-n-Shoot™ airflow technology, this blower is the ultimate property cleanup tool.